Women’s football fever in the country will reach its zenith over the course of the next fortnight as Africa’s elite eight lock horns here in Ghana for the right to be crowned queens of continental women’s football. Aside the glittering trophy on offer, the eight participating teams will also be vying for the three tickets to the 2019 Women’s World Cup in France next year. 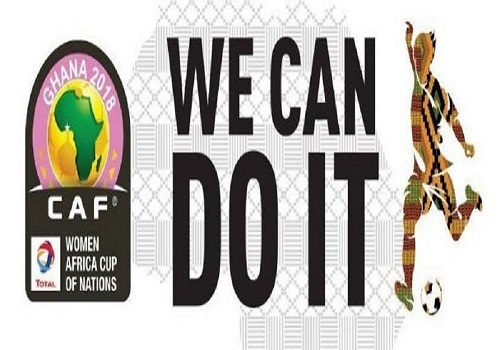 Tournament hostesses Ghana have been tagged as favourites to successfully host and win the 11th edition of Africa’s female football showpiece event. Under the guidance of Coach Bashir Hayford, the “Black Queens” will be keen to hoist the trophy for the first time, haven finished as bridesmaids on two previous occasions. Ghana will also be keen to make home advantage count in their quest for a return to the FIFA Women’s World Cup for the first time since 2007. Ghana’s opponents in the opening fixture will be five time participants, the “Fennecs Dames” of Algeria. Although their record in previous editions has been dismal, the Algerians will be dreaming of shocking the continent this time around. The biggest threat to the Queens in Group A is expected to be posed by four time runners-up Cameroun, who themselves hosted the last edition of the competition two years ago, only to be defeated by Nigeria in the final. The “Indomitable Lionesses” will be looking to roar in Ghana over the next two weeks, as they search for a first time AWCON triumph. Also camped in Group A are “Les Aiglonnes” of Mali. Currently ranked 85th in the FIFA World Rankings, the Malians will be hoping their 7th appearance at this stage will be one worth remembering fondly. Based in Cape Coast, Group B is undoubtedly headlined by record winners and defending champions Nigeria. The “Super Falcons” have won ten of the previous twelve AWCON tournaments, and boast of the enviable record of qualifying for every FIFA Women’s World Cup since its inception in 1991. Led by reigning African footballer of the year Asisat Oshoala, the Falcons are heavily tipped to put up another good showing in this year’s competition. The two continental crowns which eluded the Nigerians were both claimed by Equatorial Guinea. Initially suspended for administrative reasons, the “Nzalang Nacianol” have recently been reinstated and will be viewed as genuine title contenders. South Africa’s “Banyana Banyana” come into the tournament as COSAFA Women’s champions, and have enjoyed a thoroughly comprehensive preparatory process ahead of their tenth AWCON appearance. Captained by Janine van Wyk, the most capped player in African football, the South African “Girls” will be aiming to secure a spot at next year’s World Cup. Rounding up Group B are the Copper Bullets of Zambia. The “She-polopolo” qualified as COSAFA Women’s Cup runners-up, and will be hoping to build on their good run of current form to spring a few surprises at Ghana 2018. The PFAG extends its best wishes to all eight participating teams as they gear up to showcase the very best of Women’s African Football. We are especially confident that our Black Queens will rise to the challenge to “host and win” a unique and memorable tournament. We also wish the organizers all the best, and urge all football fans to throng the two host venues and make Ghana 2018 a resounding success. PFAG: With Them and For Them! !